Wow, the story, the actors, the voices, the soundtrack! Amazing och fantastic. Beyond amazing! you owe it to your ears to listen to this! 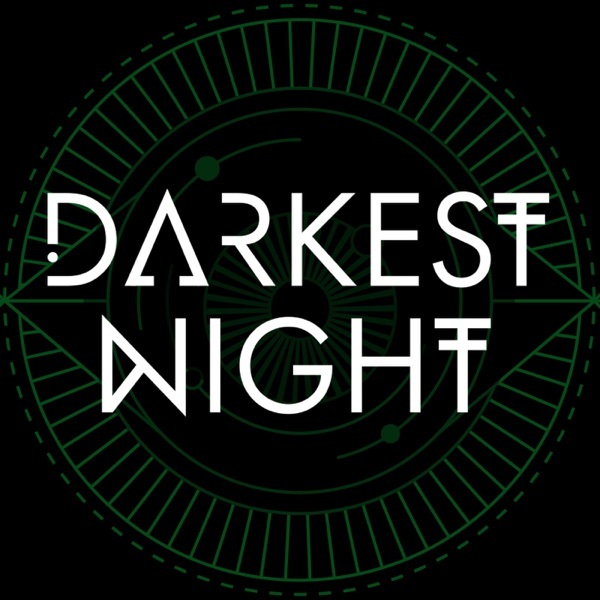 Darkest Night is a binaural audio drama that places you, the listener, at the center of a recovered memory that sounds as though it’s happening around you in real time. Each chapter delves into the last memories of the recently deceased, slowly revealing a horrifying master plan. Who is weaving this master conspiracy, and what is their ultimate goal? Subscribe now to find out, and wear headphones for the best, most terrifying results. Darkest Night is narrated by Lee Pace (The Hobbit Films, Guardians of the Galaxy, Pushing Daisies. Halt & Catch Fire, etc). Darkest Night features acting performances from Denis O'Hare (American Horror Story), Maynard James Keenan, Missi Pyle (The Artist & Dodgeball), RuPaul, Michelle Visage, and Jeffery Bowyer-Chapman. Written by Alex Aldea and CK Walker. Music composed by Andrew Joslyn and Alex Aldea. This episode is sponsored by Empty Faces. This episode is sponsored by Quip. Written by Elias Witherow, Alex Aldea and CK Walker. In this episode, Project Cyclops takes us on a journalist's experience reporting the unveiling of Friar Carlisle's new Implausible Nuggets. Music composed by Andrew Joselyn. In this episode, Project Cyclops takes us to a live performance of the If I Had to Pick a Killer podcast. Additional writing by Lauren Tyree. Crowd sounds recorded at RuPaul's DragCon NYC. This episode is sponsored by Casper. In this episode, the Roth Lobdow Center faces Sigma Corp for one final showdown. Written by Conor Patrick Hogan. In this episode, Project Cyclops takes us to an online dating encounter gone wrong. In this episode, Project Cyclops takes us to a unique maze experiment at the Roth Lobdow Center for Advance Research. Written by Elias Witherow and Conor Patrick Hogan. Check out our Axiom Zero Spice Collection. Check out Elias Witherow's new novel The Black Farm. In this episode, Project Cyclops takes us to a unique experiment to develop a cure for Alzheimer's. In this episode, Project Cyclops takes us to an event with Senator Jackson Carlisle. Foley and Sound Design by Victor Figueroa and Alex Aldea. In this episode, Project Cyclops takes us to a flight on a private jet gone awry. Foley and Sound Design by Alex Aldea and Victor Figueroa. Jet sounds provided by Wayland Productions. In this episode, Project Cyclops takes us to Vivian Lobdow's first board meeting as the head of the center. In this episode, we follow Daniel on his job interview at the Center. Music composed by Andrew Joslyn & Alex Aldea. In this episode, we learn about the development of the Saber Formulation. Music composed by Alex Aldea & Andrew Joslyn. In this episode, something quite peculiar happens on Jamison's way to the hospital. In this episode, we witness a strange occurrence at a youth sobriety camp. In this episode, we join two paranormal investigators on quite the unique discovery. In this episode, Project Cyclops takes us behind the most unusual of quarantines. Music composed by Alex Aldea and Johnny Ferro. Welcome to Project Cyclops. In this episode, we go back in time to a most unusual will reading.